Grade Level: 7th-9th Grade World History/World Cultures, incorporate this single lesson into a larger study of East Asian cultures. Background: The purpose of this lesson is to provide students a clear understanding of the basics of four major Eastern Hemisphere religions/philosophies: Buddhism, Confucianism, Legalism, and Taoism. By understanding Buddhism, Confucianism, Legalism, and Taoism, students will gain a better understanding of Asian culture and how these religious/philosophical practices influence both the ancient and modern world. To accomplish the ultimate goal of connecting the Eastern Hemisphere content to the modern world, this lesson will use clips from the classic Star Wars films. The subject matter presented within the Star Wars films reflects a heavy influence of Asian thoughts and ideas. By incorporating these concepts and examples into the lesson, students will identify the influence of the Ancient Asian upon our modern-day world. To generate excitement around the topic, this lesson is planned around the date of May the 4th. This day is recognized as International Star Wars Day (May the 4th be with you!). By connecting the lesson to Star Wars, students will be more open-minded to learning topics. 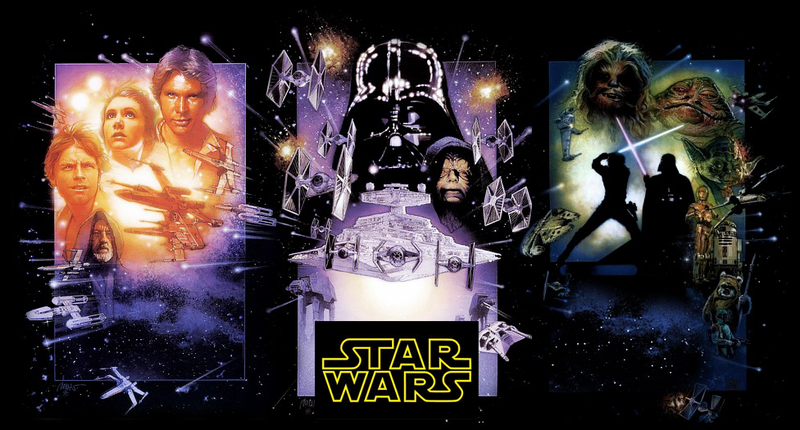 Enjoy this free bookmark for your students to celebrate Star Wars Day! Click on the image for a printable pdf file. Jason Allen, PhD has taught courses in history, political science and educational theory at various college and university locations. Topics of research have included the Monotheistic Religions in the World History Classrooms, The Use of World History Textbooks and Their Portrayals of Religion, and the Use of Pop Culture in the Classroom. Allen has presented research at the University of Central Florida, West Virginia University, the International Society of the Social Studies (Orlando) and the National Council for the Social Studies (St. Louis). Allen currently serves as the Coordinator of Social Science at Blue Ridge Community and Technical College. This is an amazing lesson plan! I plan to use it, a bit, in my 6th level SS class. We spend a good deal of the year discussing various world religions and this will fit in perfectly, especially as we just wrapped up ancient China and India. Thank you!